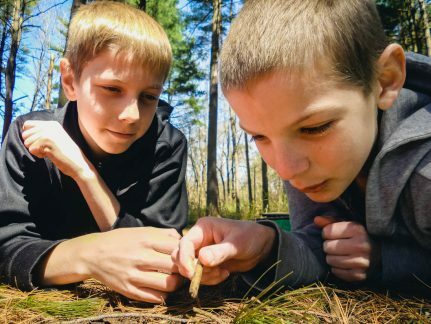 Since 1924, Camp Tecumseh has provided children with impactful educational experiences that enable students to connect with and gain respect for their community, their education, and the natural world. 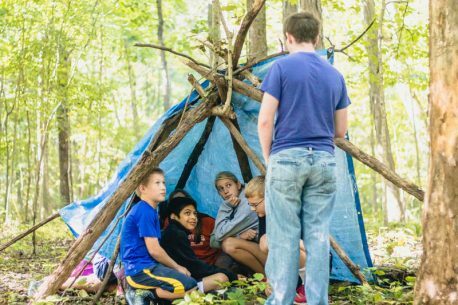 Over 600 acres nestled on the banks of the Tippecanoe River provides the setting for a two or three day outdoor classroom experience students will never forget. Our first-class facilities are designed to ensure our guests a comfortable experience while facilitating relationships that bring school communities closer together. Heated, handicap accessible cabins with attached showers and restrooms serve as home base and provide an environment as engaging as the activities that will take place in them. Eat hearty meals in our two spacious dining halls with accommodations for up to 700. Join us as our highly trained staff leads you through a one of a kind experience that will have your classroom and community raving. 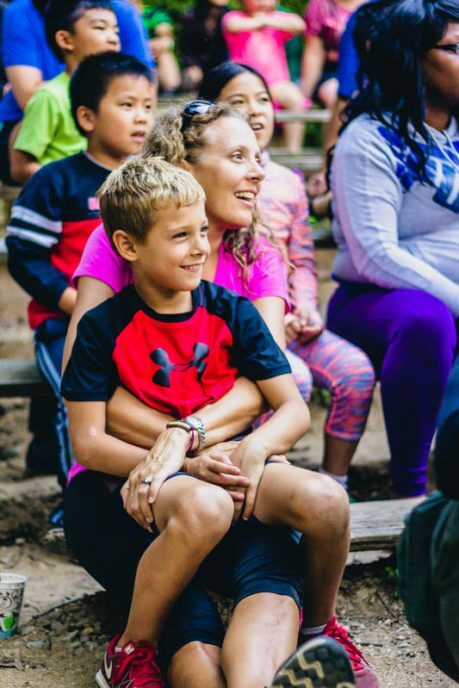 Relationships are the heart and soul of our two and three day camp experiences. 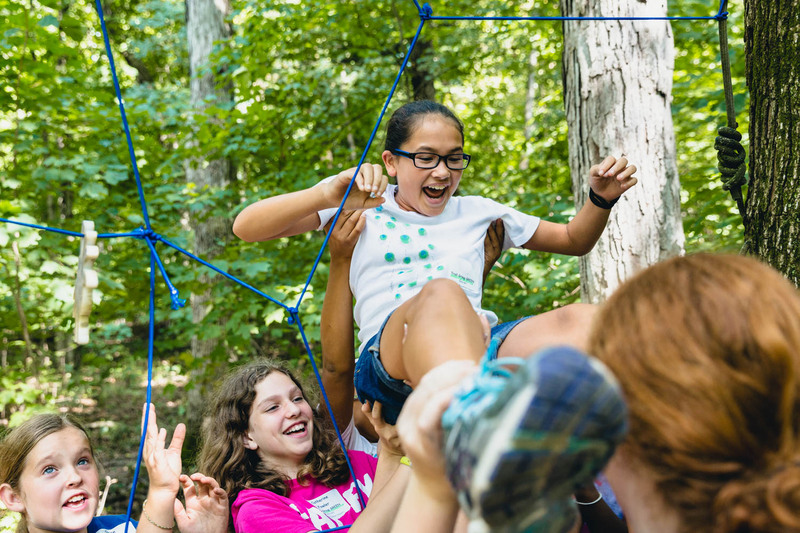 From the way we teach trails to the way we serve our meals, we’ve engineered every detail to strengthen the bonds of friendship in the classroom, and encourage the development of community back home. 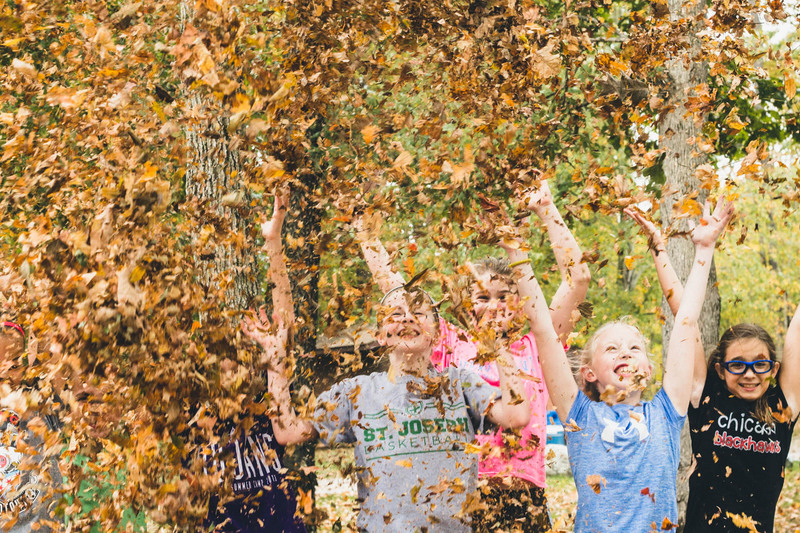 Meals served family style around a large table, opportunities for free play, hands-on team oriented activities, plenty of thoughtful discussion and a shared cabin all contribute to a healthy environment of relational development. 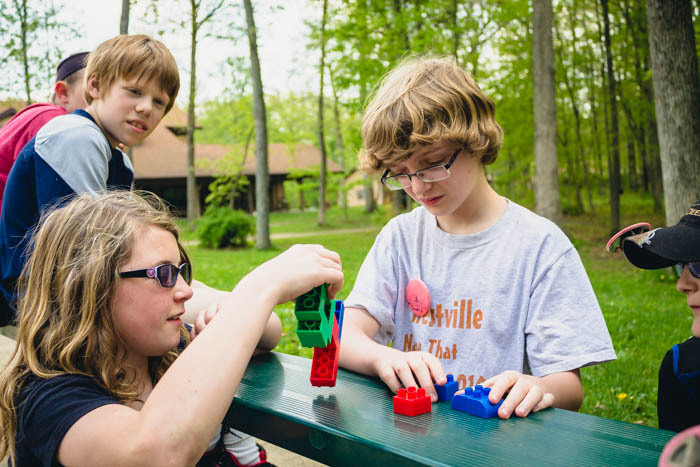 Break outside the mold of the classroom and discover a new side to your students and yourself. In our environment, don’t be surprised when your students reveal unknown strengths, become leaders, ask questions, speak out, and discover their potential. 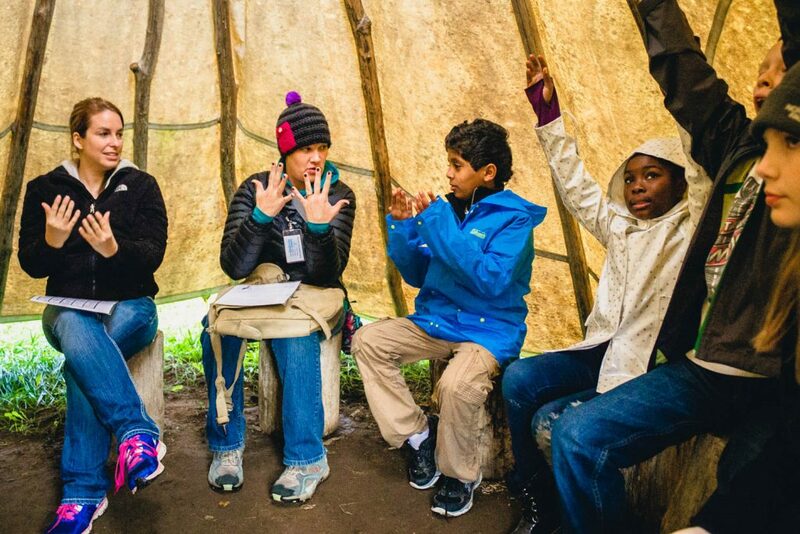 At the end of your trip, you’ll leave with a tighter-knit group of students, new friendships with your students’ parents, and a shared experience that will bring your community closer together for years. 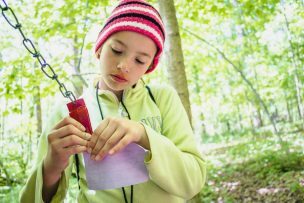 Camp Tecumseh Outdoor Education experiences are more than just fun field trips. Each program is designed to seamlessly integrate with your curriculum by meeting state educational standards for every grade level we serve. 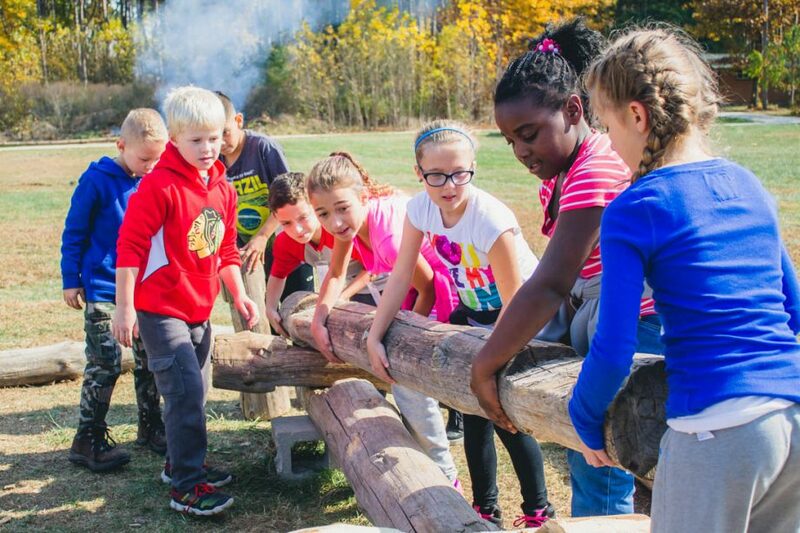 We create unforgettable experiences in our natural, outdoor classroom, and our talented, highly trained staff members will help you and your school meet the goals of both your classroom and your administration. 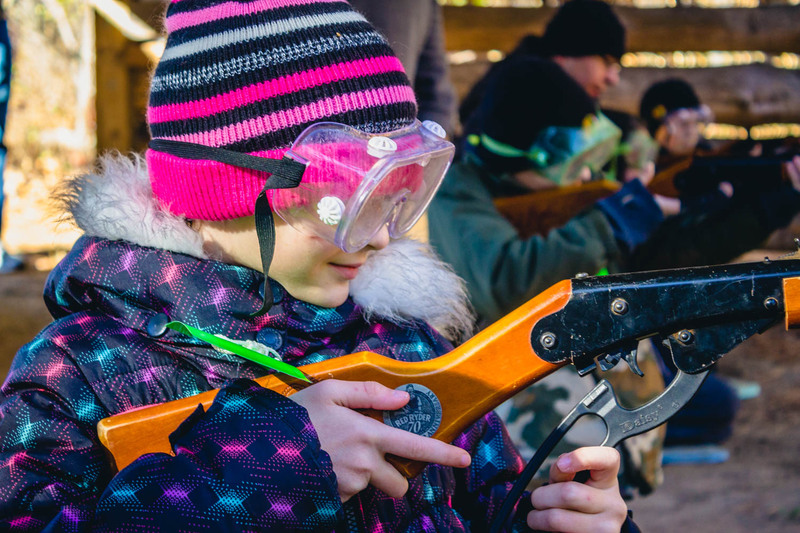 Harness the power of hands-on, experiential learning and bring your curriculum to life. The world’s most influential people didn’t achieve success through sheer luck. Instead, they mastered a number of key skills that help them make decisions, navigate complex issues, and harness the power of the group. 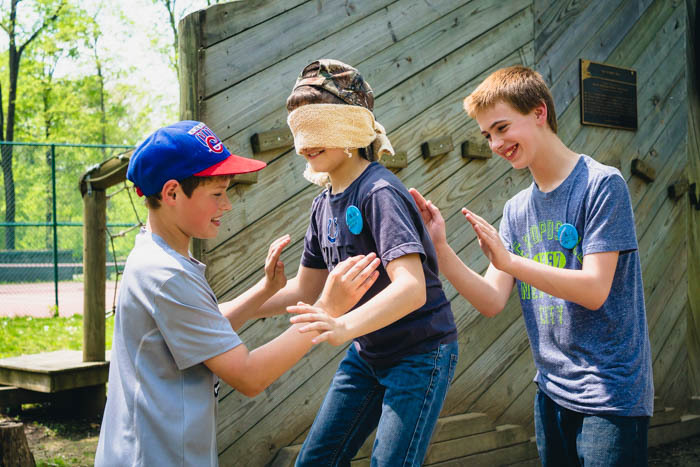 In the Foundations for Success program, students are introduced to five of those key skills: leadership, trust, communication, problem solving, and self-confidence. 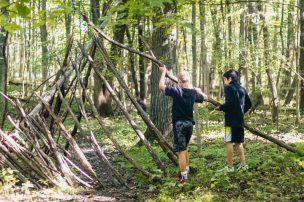 Through a number of challenging, team-oriented activities, students will engage with these foundations in ways that will benefit them both inside the classroom and out. 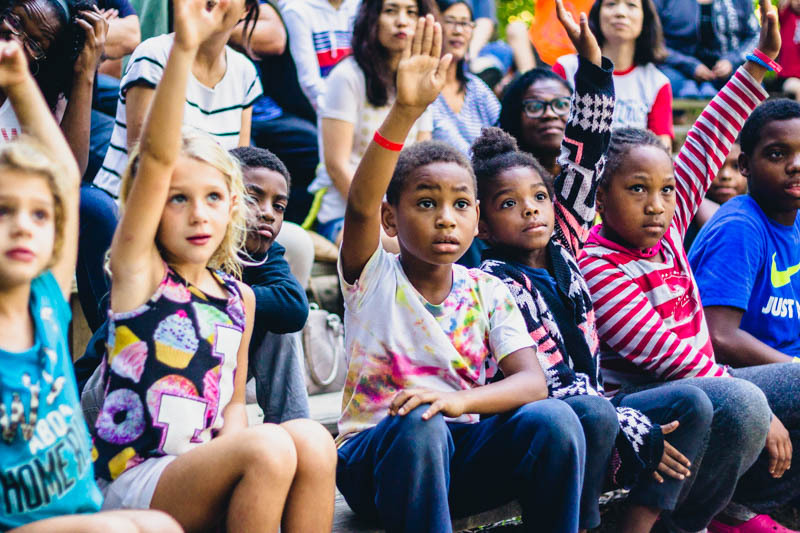 Every activity encourages students to engage with the five foundations in creative and insightful ways. 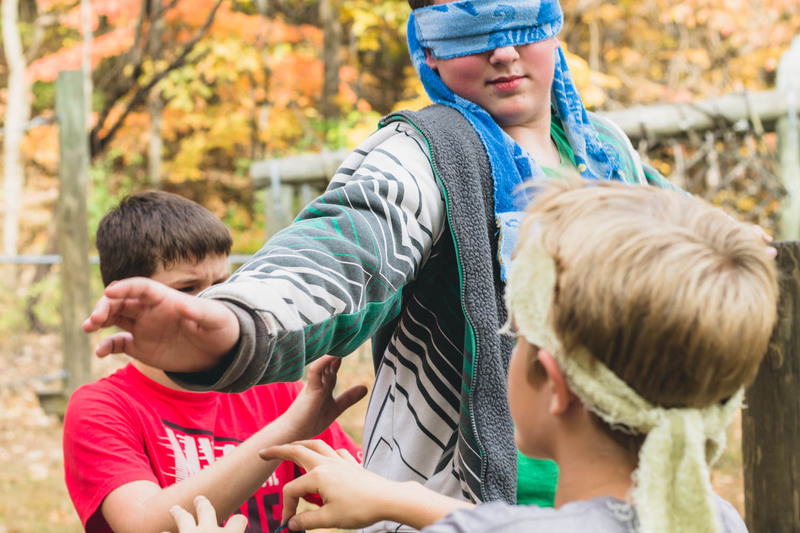 In Camp Tecumseh’s outdoor classroom, students are challenged to negotiate tricky group dynamics, solve complex puzzles, and think on their feet while developing empathy for others. Interactive and thought provoking group activities that encourage students to think about the ways in which they communicate. 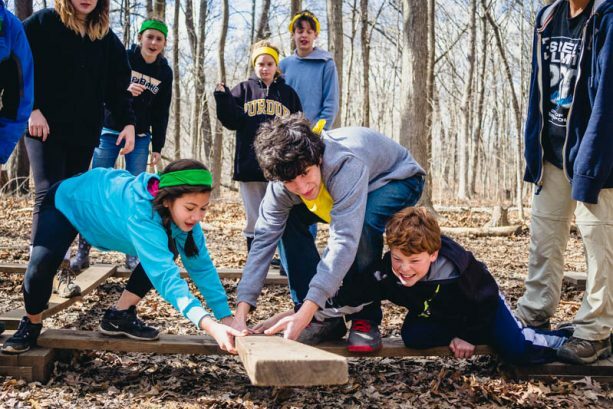 A uniquely designed obstacle course that promotes self-confidence and builds trust with classmates. 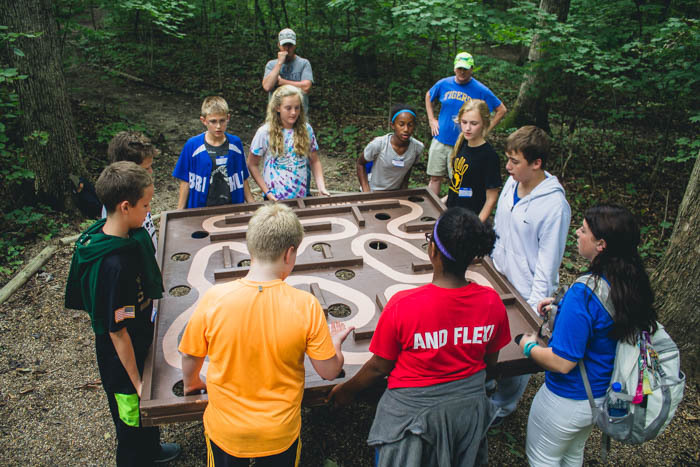 A demanding wilderness simulation that requires sound problem solving and leadership skills to succeed. Presented with a number of mind-boggling scenarios, students must use problem solving skills to accomplish seemingly impossible tasks. 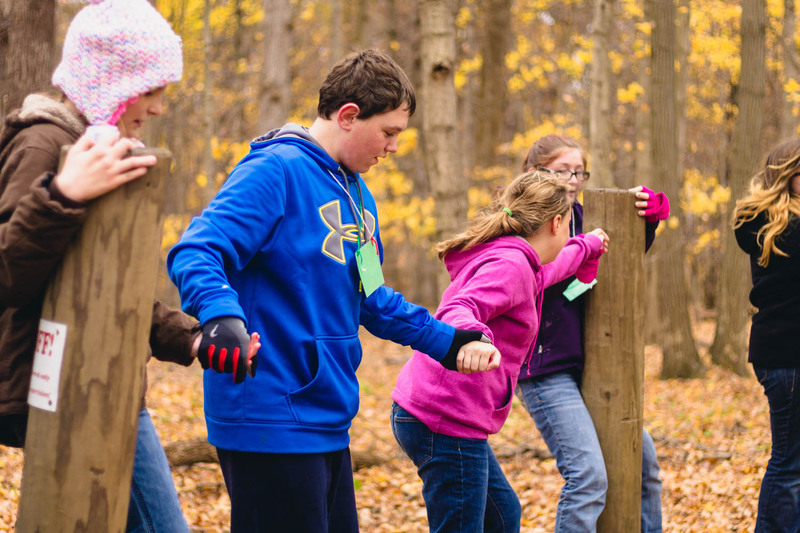 An adventurous mission through the woods that will test problem solving and leadership skills. 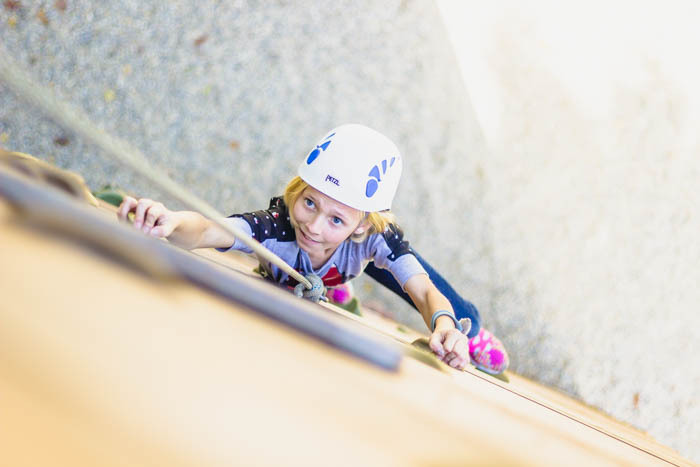 A thrilling climb up the rock wall that instills self-confidence and encourages trust and communication. 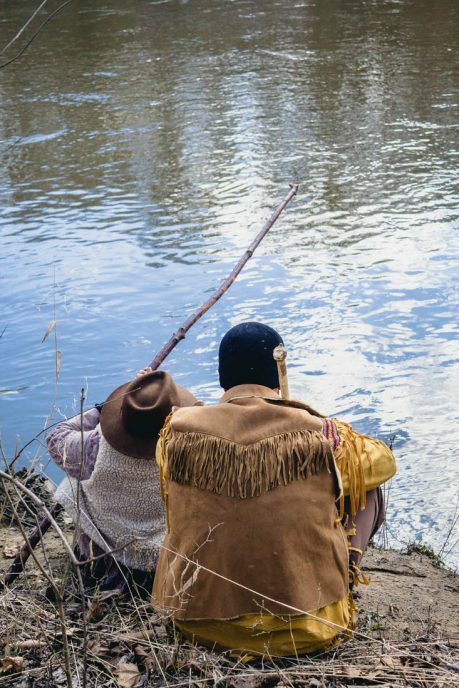 In the early 1800’s individuals flocked to the Indiana Territory under the promise of a better life. Over the years they developed a way of life that rewarded hard work. 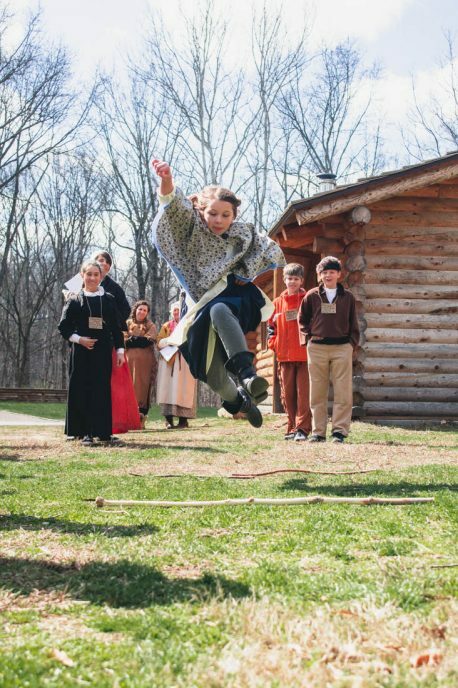 While books and pictures tell part of that story, Camp Tecumseh brings the pioneer times to life through authentic, hands-on pioneer experiences. 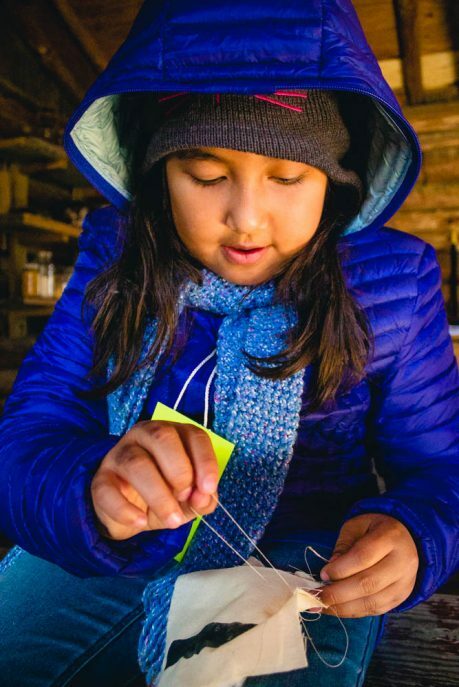 Build a log cabin; grind cornmeal and learn how to make biscuits over a fire; set a trap line and learn how to catch and trade the pelt of a fox; create an improvised bridge that you and your compatriots can cross; go fishing Huck Finn style with nothing but a hook, some line, and a stick; care for barnyard animals; navigate through the woods using landmarks; learn how to communicate with Native Americans using sign language; and so much more. 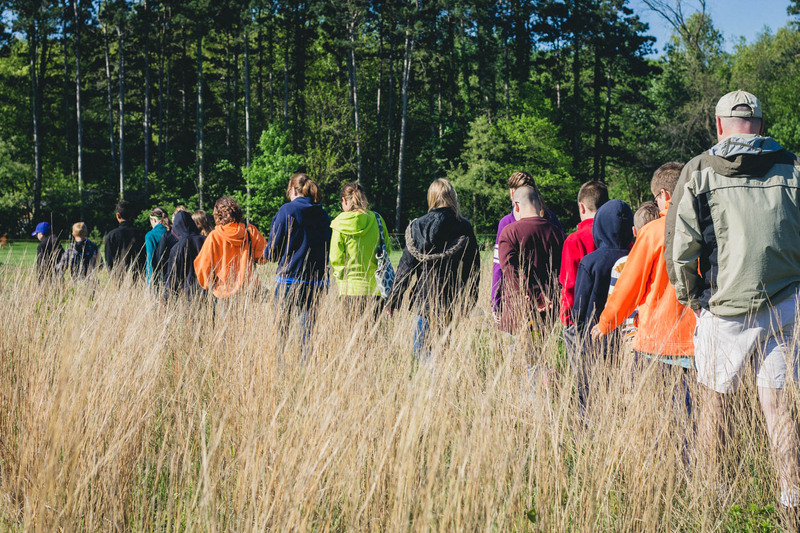 The kids are in the center of the action as they learn to live life as a pioneer. 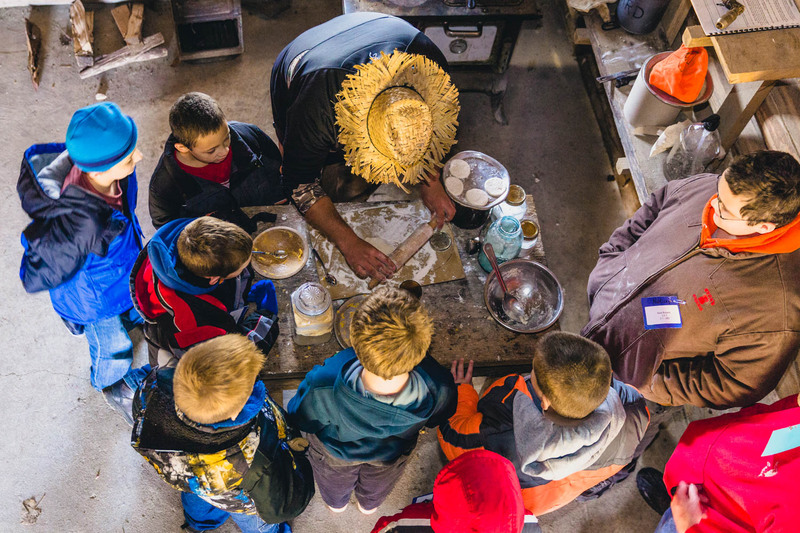 In the Earthship Journey program, students get their hands dirty in four different ecosystems as they discover the remarkable processes of nature and the value of environmental responsibility. The Earthship code is the guiding principle behind every activity. Consisting of cycles, sunlight energy, changes, relationships, communities, differences, and gifts, the code provides a framework for understanding the mechanisms behind the wonders of nature. Dig into the soil, investigate animal habitats, act like a wolf and sneak up on your prey, write tree themed poetry, learn how foresters calculate the amount of timber in trees, catch and investigate invertebrates living in the creek bed, and so much more. 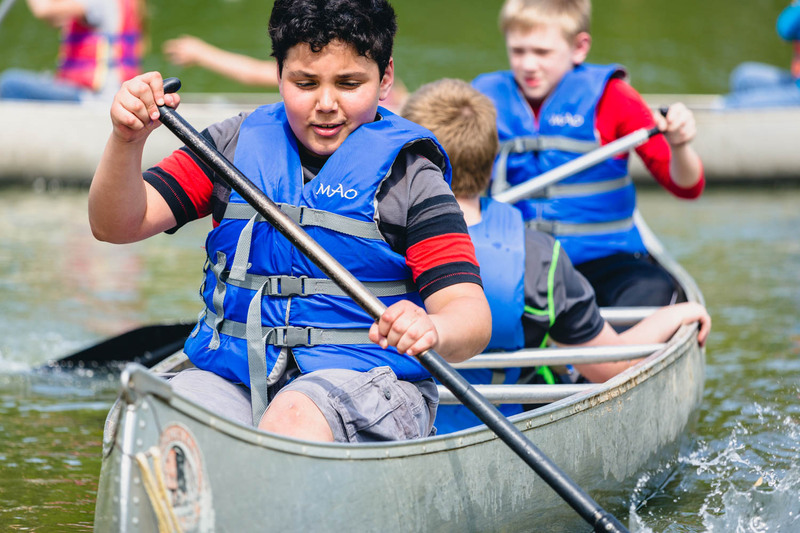 In addition to these activities, each student also takes part in recreational activities including canoeing and archery. An un-harvested Christmas tree farm planted in the 1940s creates an ideal environment to study the different stages of the soil cycle and learn about the effects of overpopulation. 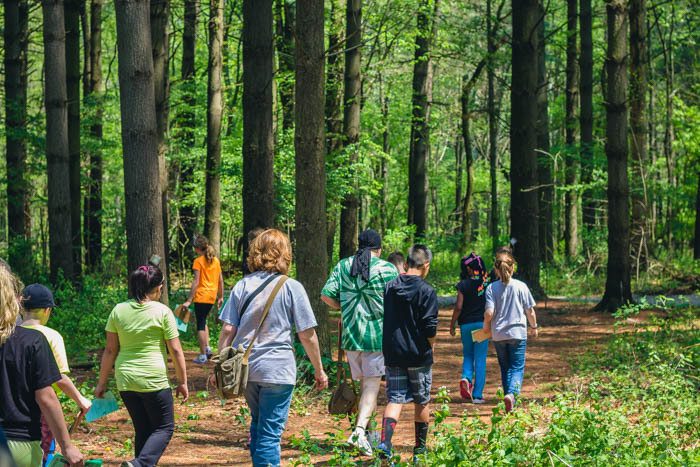 The massive oak trees and maple saplings that make up the oak forest provide the perfect setting for understanding the forest cycle and the relationships between living things. 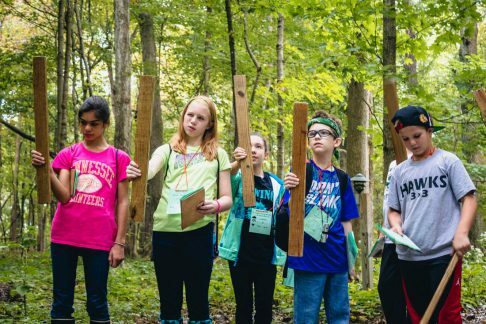 From rotten log investigations to tree-themed poetry, students gain a wider understanding of what happens in the forest over the long term. An interactive exhibit, the Nature Center is the perfect place to learn more about the surrounding ecosystem. 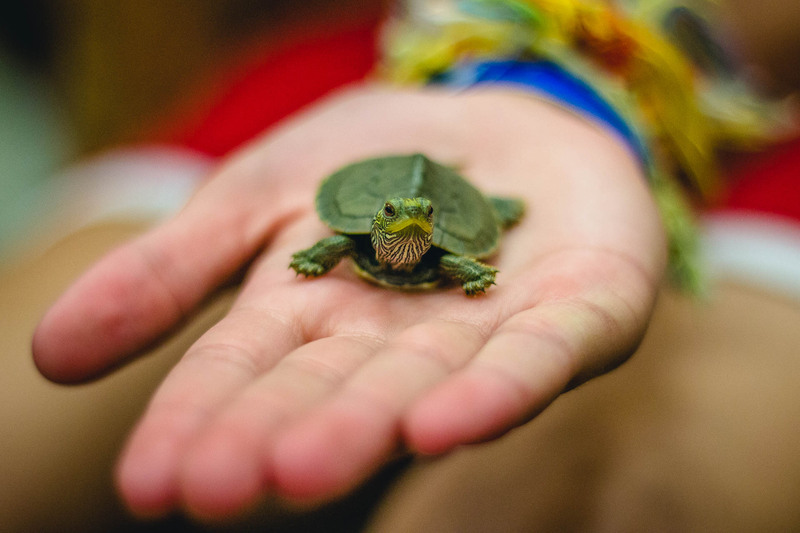 Learn about reptiles and amphibians with real frogs, turtles, and snakes. Visit the inside of a beehive and play exciting games that illustrate the food chain. 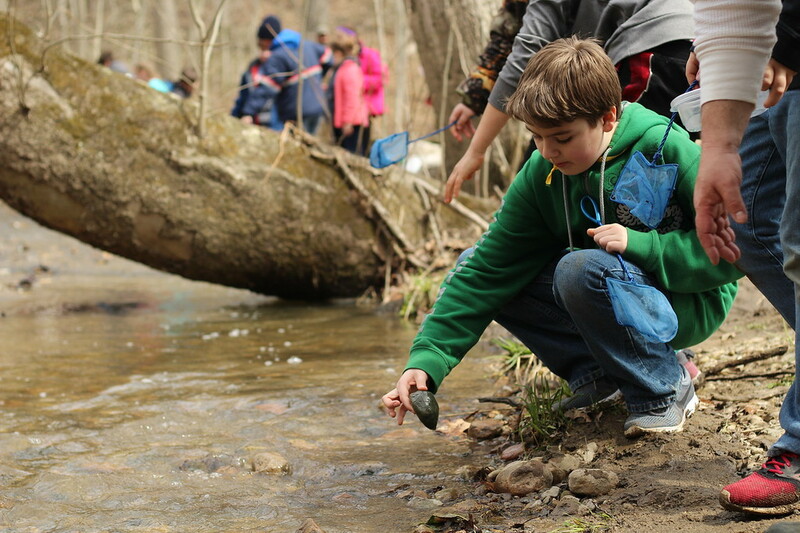 Students have a hands-on learning experience as they search for macro-invertebrates in our aquatic ecosystem. 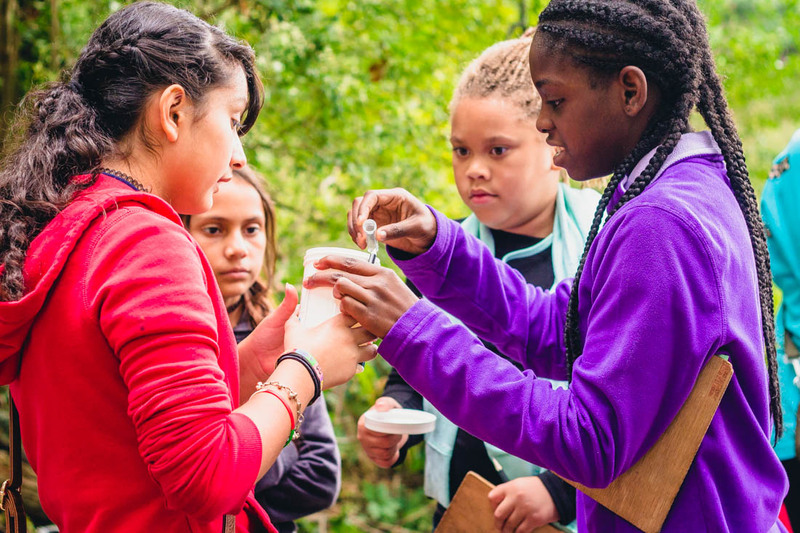 They take on the role of water quality scientist as they determine the cleanliness of Ghost Creek based on temperature, pH testing, and the creatures they find. The natural world is waiting to be explored. 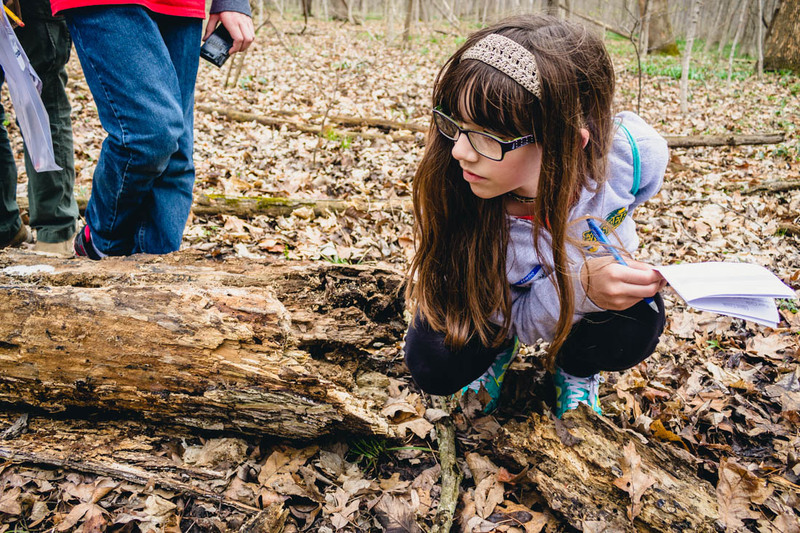 Designed to introduce our youngest learners to the wonders of the outdoors, Discovering Nature encourages students to use all five senses as they discover, investigate, and understand their surrounding environment. 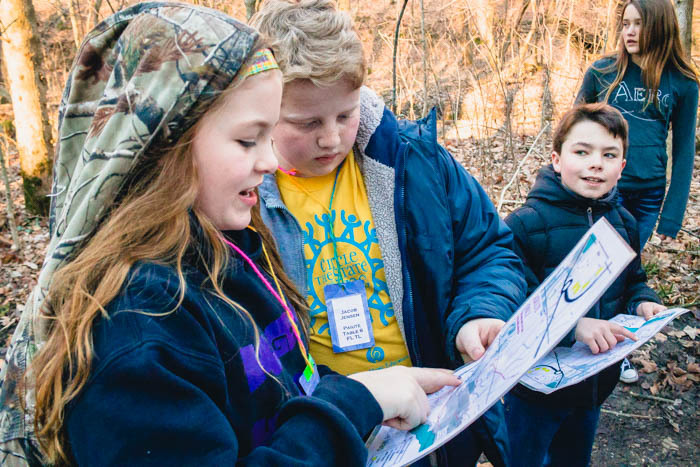 This hands on, investigative journey takes students on hikes to animal habitats, adventures through the forest to learn about different trees, down to the river to investigate soil, to the minifarm to play with farm animals, and so much more. 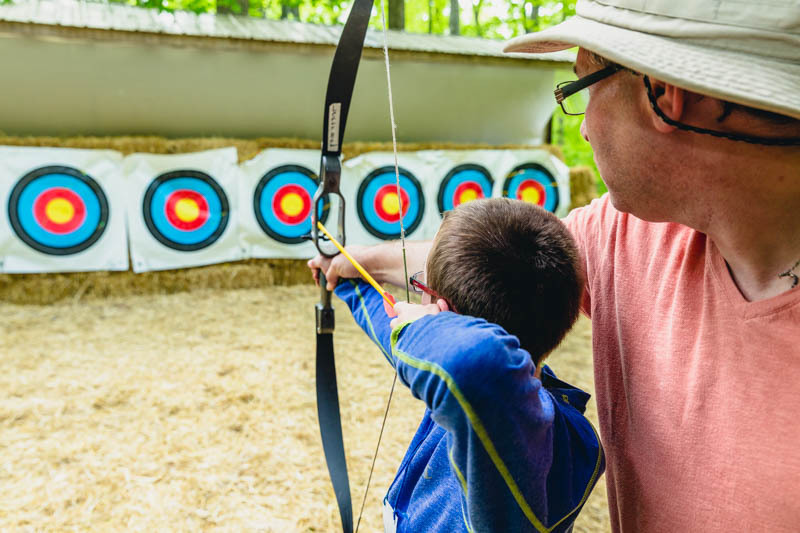 Play in our state of the art nature center, shoot down the black hole slide, and try your hand at archery. 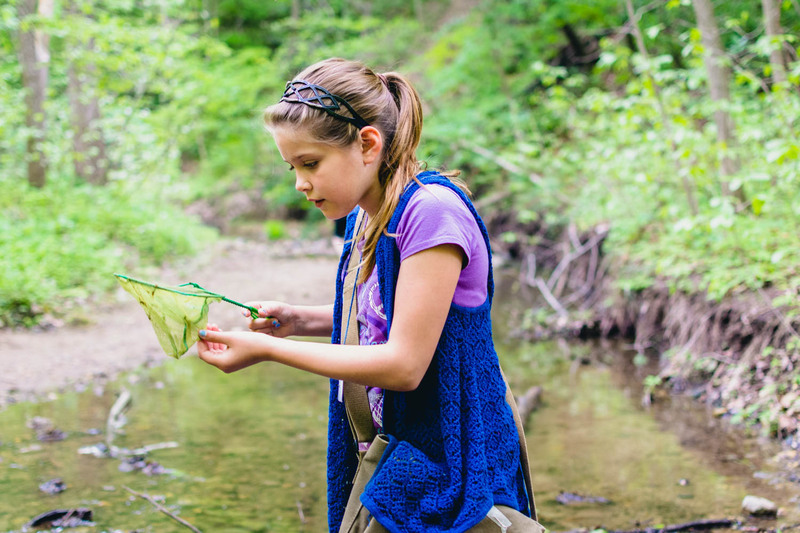 Discovering Nature is the perfect avenue to develop a sense of safety outdoors, explore the environment, and develop a lifelong fascination with nature. It’s Christmas on the homestead. Travel back in time to the 1800s and experience winter life in the Indiana Territory. 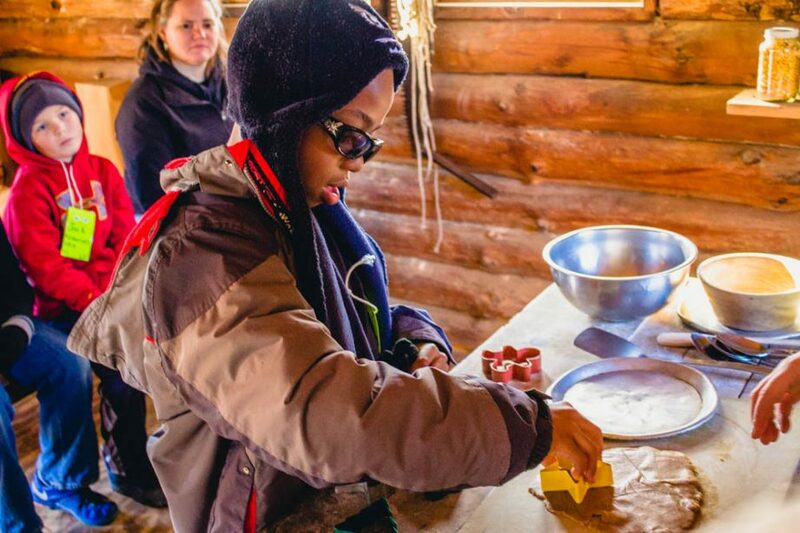 While books and pictures tell part of that story, Camp Tecumseh brings the pioneer times to life through authentic, hands-on pioneer experiences. 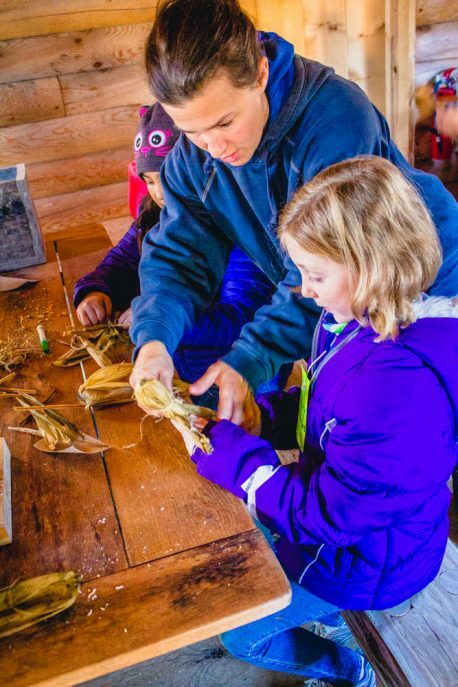 Build a log cabin, bake pioneer Christmas cookies; learn to sew quilt squares; make authentic pioneer toys; hunt for the Christmas feast; set a trap line and learn how to catch and trade the pelt of a fox; create an improvised bridge that you and your compatriots can cross; care for barnyard animals; learn how to communicate with Native Americans using sign language; and so much more. The kids are in the center of the action as they celebrate Christmas as a pioneer. 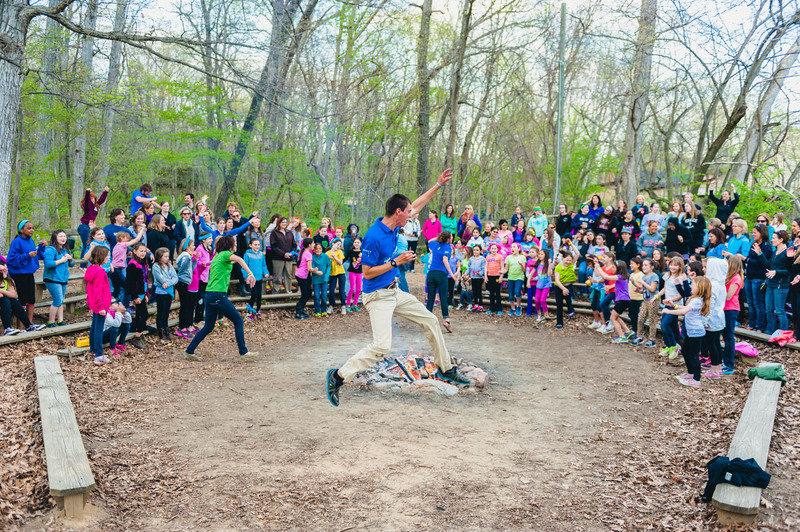 Magic happens when the sun goes down at Camp Tecumseh. 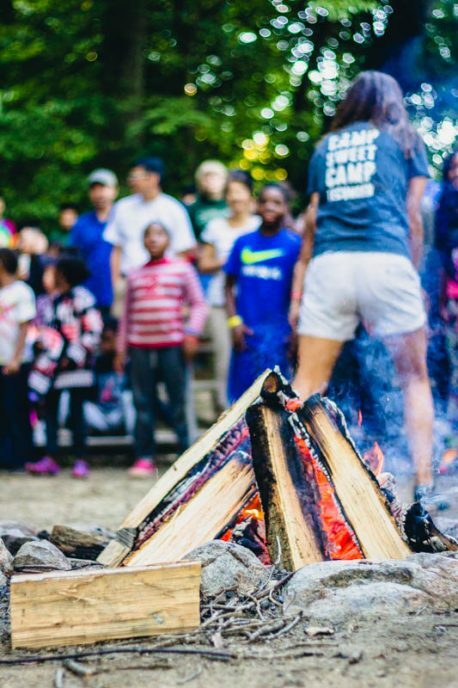 A roaring fire and wholesome entertainment will have you and your students singing and dancing, acting and laughing as our staff leads you through songs, skits, and jokes that will have your class telling stories for years. After campfire, take a hike through the woods without any light. Follow our staff as they teach you and your students how to navigate using your ears and your sense of touch. Lie on your back beneath a shimmering blanket of stars and learn about the constellations and the wide universe. Listen to the gleeful shouts of students as they shoot down the Bullet slide or the Black Hole slide in darkness. 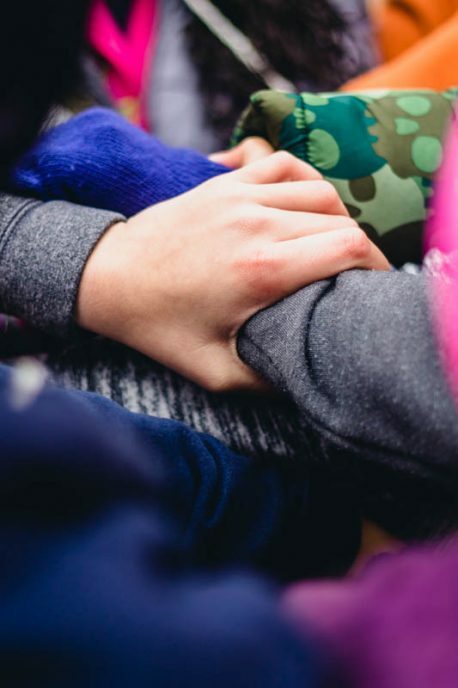 Witness the bonds of friendship forming in the cabin before bedtime as students, chaperones, and teachers recount the day’s events as they slowly nod off to sleep. 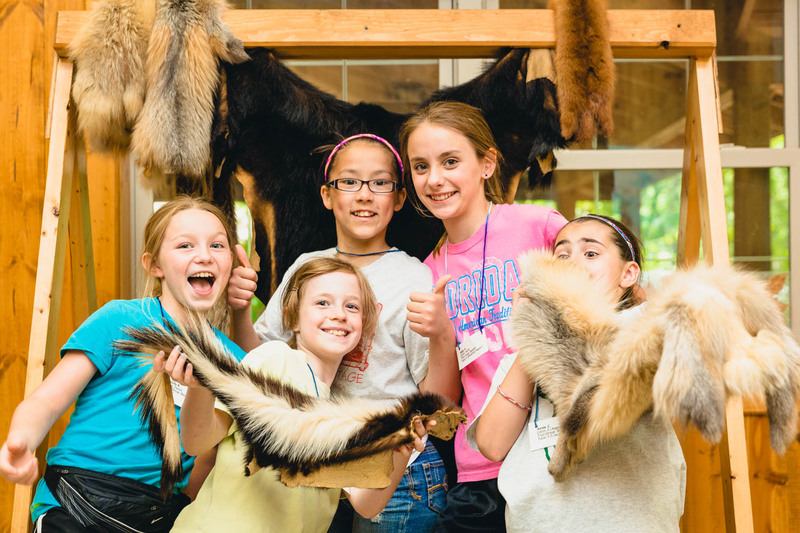 Are you ready to bring your class to Camp Tecumseh for an unforgettable field trip experience? 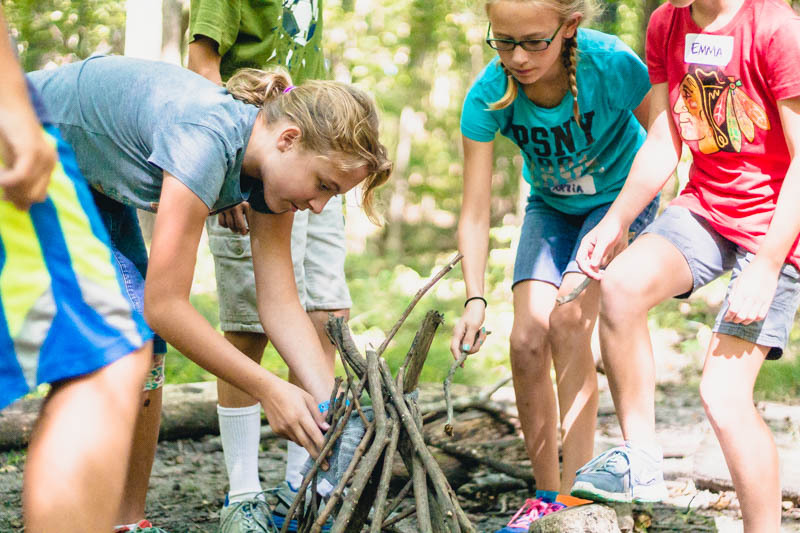 For additional information, contact our Outdoor Education director, Julianne Yost, at 765-564-2898. Getting Ready for your trip. 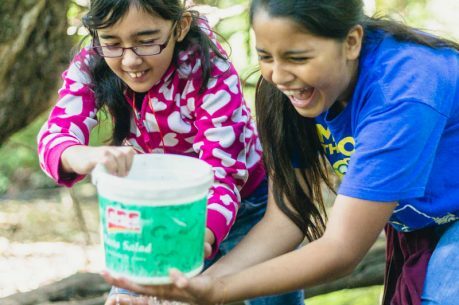 From packing lists to directions to information on parent/teacher trainings, we have everything you need to feel prepared for your upcoming field trip.